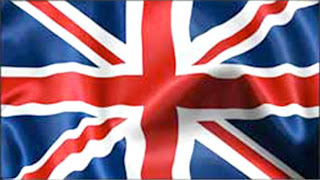 While everyone is infatuated with Tiger Woods and his return and return to form at Augusta, it's the Brits that are leading the charge. First there's 36-year old Lee Westwood, the one-time phenom whose steady climb has got him up to the world's #4 ranking. But he is just the co-leader, joining his countryman Ian Poulter...He of the ultra-flashy clothes and the ultra-steady game. Poulter, 34, won the prestigious matchplay event earlier this year (his first PGA win) and has climbed to #7 in the world rankings. "I know I haven't played to my full potential and when that happens, it will be just me and Tiger." 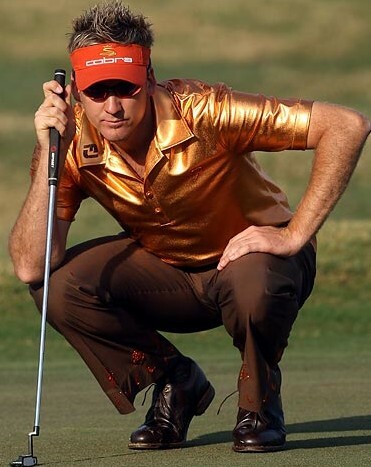 Now Poulter has his chance to back up his words and his wardrobe. He is playing the best golf of his career, and while he will be playing with his chum Westwood in their 3rd round pairing, neither seems likely to self-destruct. That's two Top-10 guys in the world sharing a two stroke lead. Tiger's not chasing Chris DiMarco or Rocco Mediate, not in this Major. There are more factors that forecast Tiger's chance for a 5th Green Jacket as slim at best. Forget the two guys ahead of him for a second. He's still tied with Phil Mickelson and Anthony Kim (who won last week), as well as Saturday playing partner K.J. Choi. Those are all world class guys. But most importantly Tiger's aura of invincibility is seemingly gone. The events of the last several months have shown Woods to be at least human if not vulnerable. And even more tangible to the golfing world, in Tiger Woods' last Major, he was thumped head-to-head. 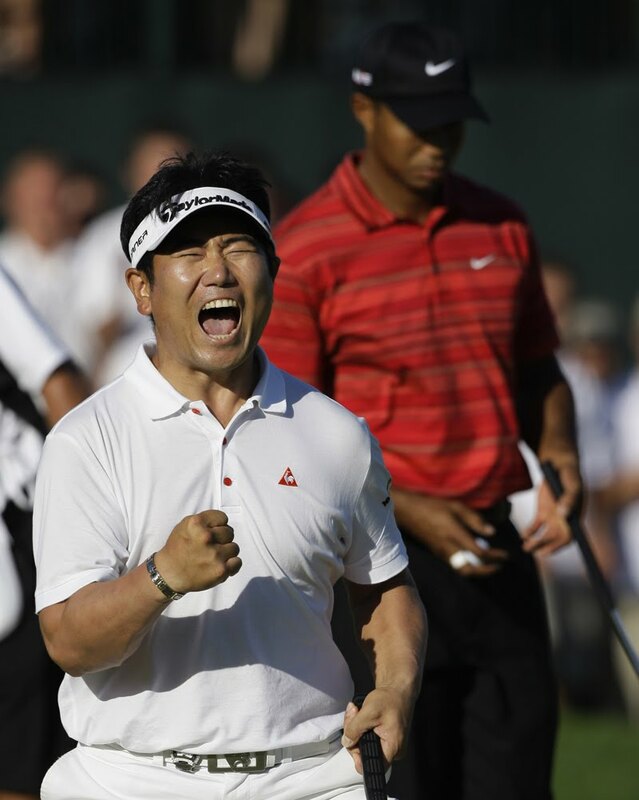 It was one of the most surreal moments in sports history watching relatively unknown Korean Y.E. Yang celebrate on the 18th at Hazeltine last year while Woods finished up in his shadow. Yang is also in this mix at -5, just one back of Woods & company and three shots back of the leaders. Traditionally, Saturday at The Masters is about hanging on. The historic runs are made Sunday on the back nine (final six actually). So expect Tiger to be very much alive for Sunday even if he shoots 72-74 in the 3rd Round. It will surely be a blockbuster for CBS. But the bottom line is too many others will be there with him, and ahead of him. Especially with Bangers and Mash at the top. I just hope Poulter's not wearing pink trousers when he puts on the Green Jacket. The Heritage Hodge-Podge: Who Will Emerge?